… Well, where to start? I think it would be best to start with a warning. Those of you here for inspiration look away now! The only thing you will find in this post is a cautionary tale of woe. 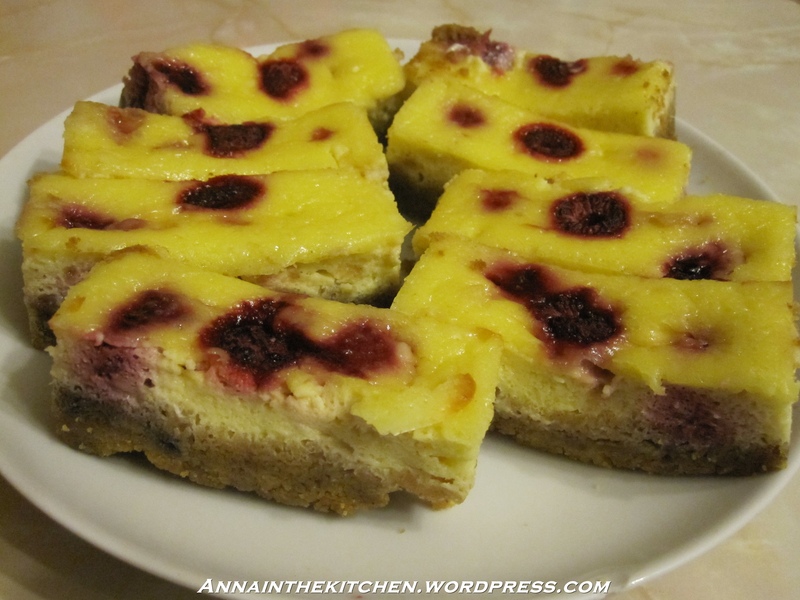 I tried to make Raspberry Cheesecake Bars last night. 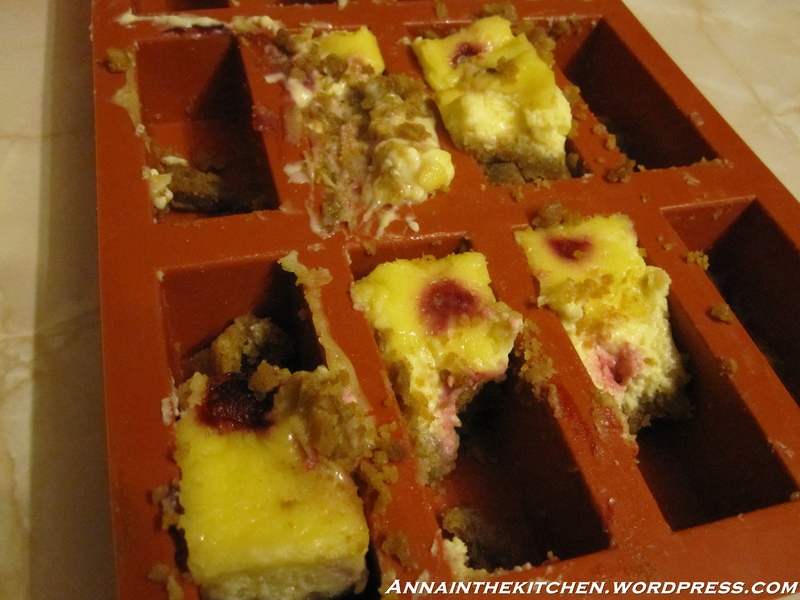 I enjoyed the last Cheesecake Bars so much I thought that things could only get better. I had decided that a nice digestive biscuit crust as a base layer would be a fabulolus idea. It wasn’t. When I came to unmould them the crumbs stuck to the mould as the silicone had given a bit and the bottoms were bigger than the openings at the top. I also hadn’t cooked them for long enough and the ones in the very centre of the tray were uncooked. This was the sad result. I have to say that some of them made it out of the mould alive and they taste fine, although, on reflection I don’t actually like the digestive bit of cheesecake all that much, but they too look pretty bad! Another issue was that I had only decided to do the digestive bit as I started and I had made the full quantity of cheesecake mixture. Since a lot of the space was taken up with digestive I had a lot of leftover mixture. So I decided to have a go at Cheesecake Cupcakes. 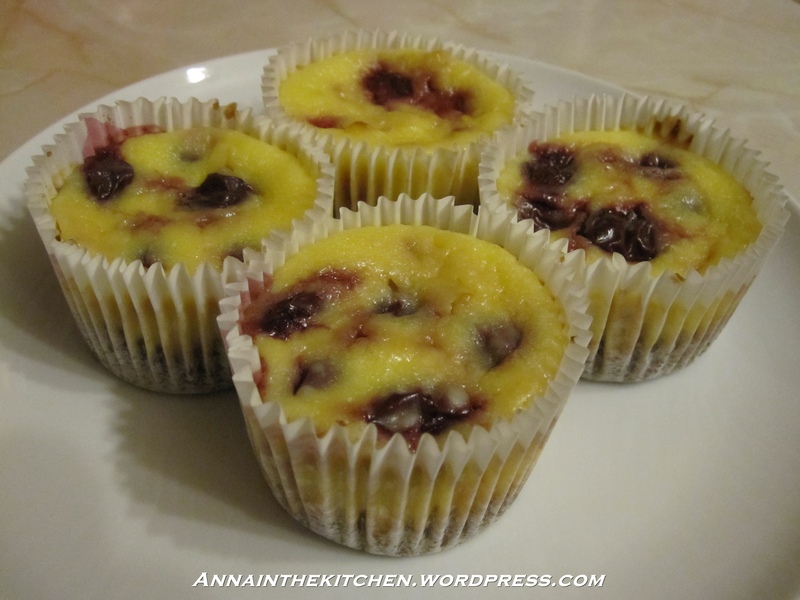 But I ran out of raspberries so they became Cherry Cheesecake Cupcakes. They looked really good as they finished cooking so I turned off the oven and left them for several hours. When I came back they had shrunk drastically! The ones that came out best were the ones with the most mixture in them so I think that if I gave this a go in the future I would fill the cases right up to the top to compensate for the shrinkage issues. All in all this experiment was a bit of a disaster but that’s what happens sometimes. And it still all tastes good. Sometimes the only thing left to do is to scrape it into a bowl and kiss aesthetics goodbye!